Florida is known for many great things, including nice weather and amusements parks. These combine nicely at Orlando’s own Wet ‘n Wild water park. However, a fun packed day at an amusement park can quickly turn to tragedy if you or a loved one fall victim to an amusement park injury. Personal injury attorney Walter F. Benenati has been successfully representing clients who have been injured at amusement parks for many years and is ready to get you the compensation you deserve. Why Should You Call The Benenati Law Firm? You prefer to know who your lawyers are from the very beginning — meeting with an actual attorney at your initial consultation to discuss your case. You don’t want to be treated like just another number. You want to actually speak with your attorney when you have questions. You want personal attention, an experienced attorney, and dedicated hard work when it comes to resolving your case. You deserve guidance, compassion, and courtesy from the first consultation until a settlement or verdict. We promise to handle your case from start to finish effectively, competently, and aggressively. If your amusement park vacation was interrupted by injury, do not hesitate to call the Orlando personal injury attorneys at the Benenati Law Firm. As a smaller law firm, our goal is not to be the biggest but the best. We work on achieving success every step of the way. 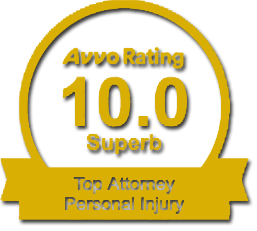 Your personal injury case will be in great hands. Call our offices to schedule your free, no-obligation consultation 407-777-7777.